On February 4th Bush Radio presenters Eugene Mathews and Roché Kester received the Media award at the 5th annual Evh Pink Award for their weekly LGBTQIA radio show called The Salon. The 5th annual Evh Awards, which was held at the Black Pearl in Lansdowne, is the brain child of former Miss Gay Western Cape, Enigma von Hamburg. The awards look to show appreciation, celebration and recognition within the LGBTI community and supporters who dedicate their time, expertise and resources in the advancement of LGBTI rights and the wider LGBTI community. The Salon, was nominated in the media category. After a public voting process and consideration from an adjudication panel, The Salon nabbed the Media award. 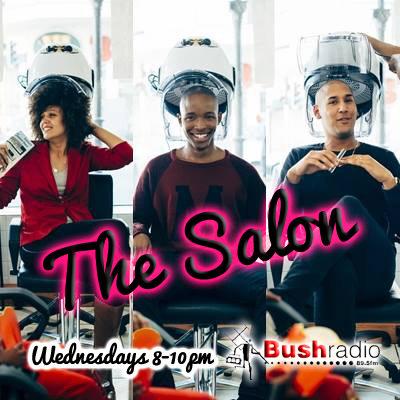 The Salon is currently the only LGBTI radio show to be found on terrestrial radio and focuses on empowering, educating and bring awareness to and about the LGBTI community in Cape Town. National and global issues which effect the LGBTI community are also discussed and highlighted on the show. The content ranges from serious issues such as health and legislation to pageants and social events applicable to the LGBTI community. Tune into Bush Radio every Wednesday night between 8-10 PM to get your views, your gayle and your life.